In the previous blog posts, my colleagues already brought up many arguments for using a computer module for your next hardware project. So, let us assume you have taken the decision in favour of a SoM and you now want to know how to start with your carrier board design. I would like to give you some valuable information and insights that can help in successfully designing a low-cost carrier board for a Toradex Module. The development of a carrier board can be divided into 3 main tasks, system design, schematic capture, and layout. In this post, I will talk about the first two topics. I will cover the layout topic in a later blog post. Before starting with the system design for your new carrier board, you have to decide which computer module family you intend to use on your board. Is it the very versatile Colibri module family or are you heading for one of the high performance Apalis modules with the new high speed interfaces? You may have also narrowed it down to a few modules within the family that will be used at the end. Our product selector might help finding the right SoM. A major difference between an Arm based computer module and a x86 based SoM is that the Arm modules normally have a wider variety of different interfaces that can be served. A single module pin often can be multiplexed to different interfaces such as UART, SPI, I2C, SDIO, or as simple GPIO. There might be even multiple SoC pins connected to a single module edge connector pin. This can make a system design for a Arm based carrier board more complex than a x86 board on which the pins have only one dedicated function. The engineer needs to select the appropriate function for the pins. This task is called pin muxing and an example is shown in Image 1. When we design a new computer module at Toradex, we always try to make it as compatible as possible with other modules of the same family. This means we try to keep a set of interfaces as a pin compatible standard. These standard interfaces correspond mainly with the interface functions which our off-the-shelf carrier boards are featuring. It is always a smart decision to follow the pin muxing of our carrier boards. Our carrier boards feature only up to three UART interfaces. But what can you do if you need more than just these three interfaces? Some of our modules feature up to seven UART interfaces. 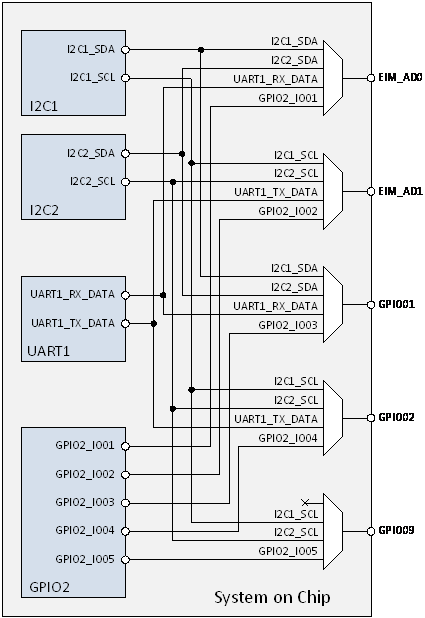 The problem is that these additional UART interfaces are only available on selected modules while the according pins may be already needed for other interfaces. As I mentioned before, this task can get quite complex. Capturing the schematic often implies evaluating new components. For example, you have to evaluate a new FET with a certain characteristic. Very probably, you will find hundreds of transistors that would match your requirements; the difficulty is often to select the best fit. I am trying to provide you some information to my personal selection strategy. My first step is always to check whether we already have used a FET that would fit the requirements in another project. Our purchase department appreciates it if I am using the same devices in multiple projects. 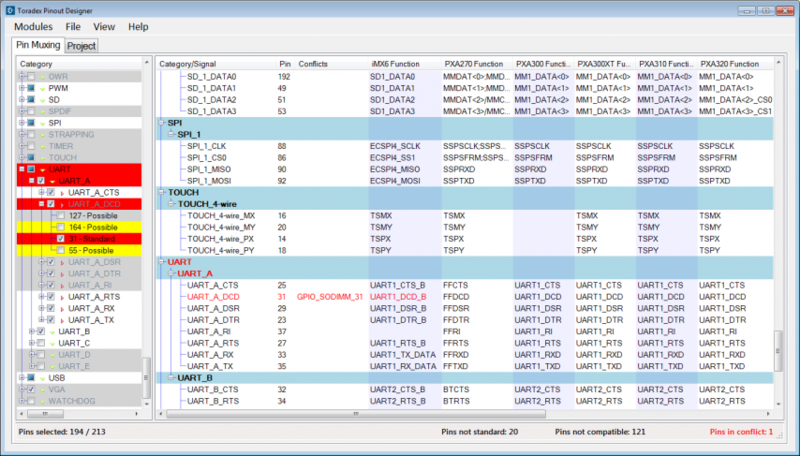 If there is no real fit in our company component library, I am trying to get an overview of compatible transistors. In order to get such a list, I normally use the parametric search engine of our preferred transistor manufacturers as well as major distributors. I normally create a table with different components and their major specifications. In order to find the best fit, I need to rate the devices. For example, I rate devices with pin compatible second sources higher than others. Price and availability are very often important criteria. Since I do not want to wait for quotes for every single transistor in my (sometimes long) list, I like to have a way to strip down the list to few real candidates that are worth asking for quotes. In my opinion, the www.ciiva.com SmartParts Search (Image 4) is a good choice for providing valuable indications. The website provides the price breaks and stock level of many different distributors without needing to search the device on each of them. 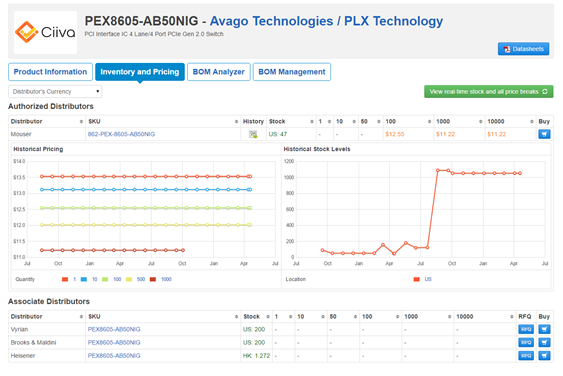 It also provides an indication whether the device is going to be obsolete soon and features the option to see historic price and stock levels. If a transistor is on stock at many different distributors and the stock level is fluctuant, it makes me confident that the actual device is widely used and not very likely to be discontinued soon. I am using the price information only as an indication, since our purchasing department will get later on their own quotes at our preferred distributors. After finishing the schematic diagrams, there comes one of the most important step, the review of the schematics. I know, it can be a very annoying task. But it is better to spend a couple of hours or even days in intensive reviewing than losing a month while waiting for a respin of the hardware. Ask a colleague to go through the whole schematic, maybe even on a netlist level. He should act like a boring four-year-old boy that wants to know every little detail. Get into a dialog about each circuit. Try to explain to your colleague why you did the circuit the way you did it. I have found many serious mistakes in my schematics while defending the circuits in front of a colleague. That is all for now. I hope I was able to get you some insights into the system design and schematic capturing process. If you are also interested to know more about the layout phase, you should check for my next post. I will try to share with you some of my experiences in order to avoid layout pitfalls.